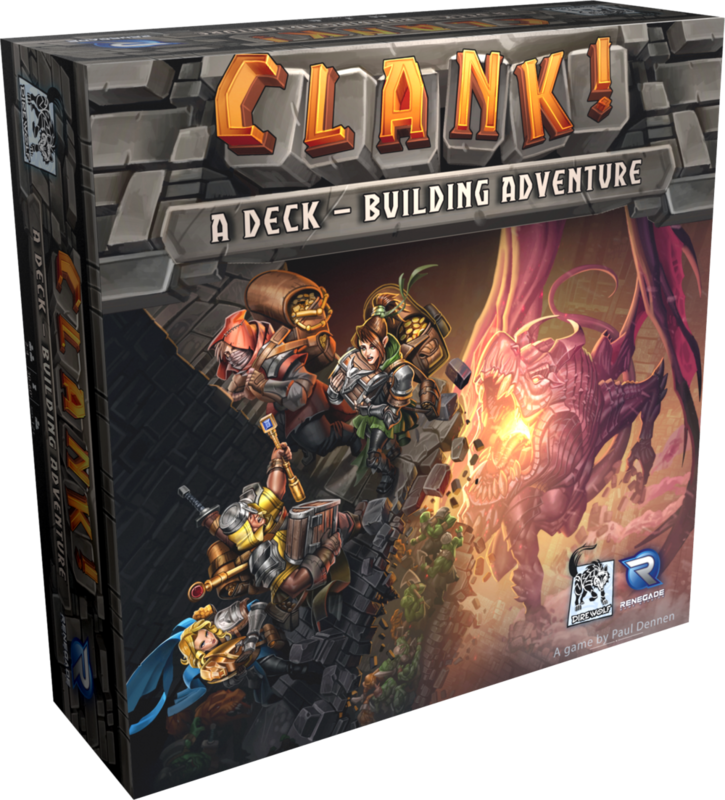 Atomic Game Theory Games Clank! Clank! is the amazing new deck-building adventure game by Renegade Games, where players become thieves sneaking through a dragon's hoard. As players enter the castle, they take their first steps on a web of pathways leading through the castle and into the dragon’s deeps. In the deeps are a series of different artifacts, each worth a different number of victory points. Players must grab one of these and then race back towards the entrance before the dragon kills everyone. Seems simple enough, but in order to win this game, players need to balance how deep they go in the castle, how valuable of an artifact they grab, and how quickly they can get back to the start. The game is complex enough that this balance is tricky to master! Clank! is a fantastic game with a novel approach to the deckbuilding genre. The race for artifacts is tons of fun, and the dragon mechanic builds the kind of tension that makes you hold your breath. Get it as soon as possible!